Holy matrimony, my friends, is a booby-trapped obstacle course full of perilous challenges. 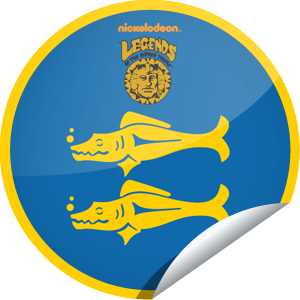 Think Legends of the Hidden Temple (my greatest childhood regret, oh how I wished to be a Blue Barracuda!). Last night, Megan and I overcame the single most formidable hurdle of our marriage. That’s right. We finished our first marriage book. And not just any marriage book, a Christian marriage book, one we started over three years ago. Well, anyhow, we did it. We got through it. Ironically, we almost quit on the book, a year or so ago, while in a chapter labeled “Perseverance.” But we didn’t! (I have a feeling the author intended that chapter to be the book’s longest). It’s called Sacred Marriage and is written by Gary Thomas. The book is pretty great, really. The speed at which we read is not indicative of the quality of the work or the messages in the content: we’re just lazy and watch a lot of Netflix and fall asleep way too early for mid-twenty-year olds. But I do recommend it. Unfortunately, I don’t remember much of the content (hey, I liked the ending; that’s got to count for something right?). Best yet, I have another book on my shelf. Inquisitive friends will ask me about it, and I’ll look up and say, “Yeah, it was good.” They will nod their heads, and I will feel smart. So, kudos to us: Megan and Kevin. We did it. We read a book together. Yay! Maybe the point of these marriage books is not to learn anything tangible, but to just experience accomplishment together. I can dig it. Time to celebrate! I guess we should buy another book. Any recommendations? Does anyone want to start a Legends League with me? I think we can bring it back. Go Blue Barracudas!